Pursuant to Wisconsin Statutes 349.16, the Town of Wheaton seasonal weight restrictions will become effective Thursday, March 21, 2019 at 8:00am. Adjustment to the proposed effective date may be considered contingent upon weather conditions. 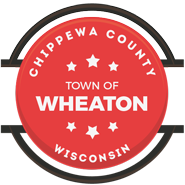 The Town of Wheaton weight restrictions for 2019 shall be set at 10Tons Gross weight (20,000#) This applies to all Town roads, with a maximum axle load of 6 tons. This is a critical period of time for the township roads and we request support and cooperation for this temporary load limit. Penalties may be imposed under sec. 348.21, Wis. Statutes for violations.